"Yemen Is One of the Worst Places on Earth to Be a Child"
In a nation gripped by famine and cholera, more than 11 million Yemeni children are in acute need of humanitarian assistance. 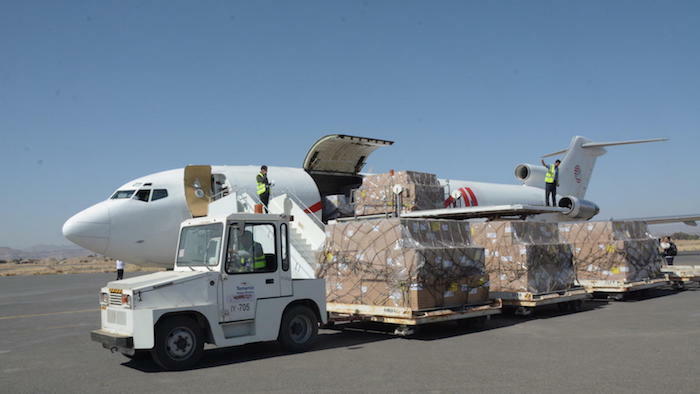 Nearly three weeks after the Saudi-led military coalition imposed a total blockade on all Yemeni air, land and sea ports, the first shipments of humanitarian aid have been allowed into the country. The timing couldn't have been more crucial: Yemen is battling famine and the largest and fastest-spreading cholera epidemic on record. A UNICEF-chartered aircraft carrying 1.9 million doses of vaccines touched down at Sana'a International Airport on November 25. The vaccines are part of a campaign to immunize 600,000 children against diptheria, whooping cough, turberculosis, pneumonia, tetanus and meningitis. The vaccines arrive at a critical time for Yemeni children, as stocks were rapidly dwindling. In fact, medical supplies of all kinds are running out. The health system is on its knees: Across Yemen today, a child dies every 10 minutes of preventable causes. "Today it is fair to say that Yemen is one of the worst places on earth to be a child," said Gert Cappelaere, UNICEF regional director for the Middle East and North Africa. "More than 11 million Yemeni children are in acute need of humanitarian assistance. That's almost every single Yemeni boy and girl." Two years of deadlocked civil war and decades of chronic underdevelopment have left more than 20 million people in Yemen in urgent need of humanitarian assistance. Yemen has the most depleted water sources on Earth and almost the world's highest level of malnutrition. 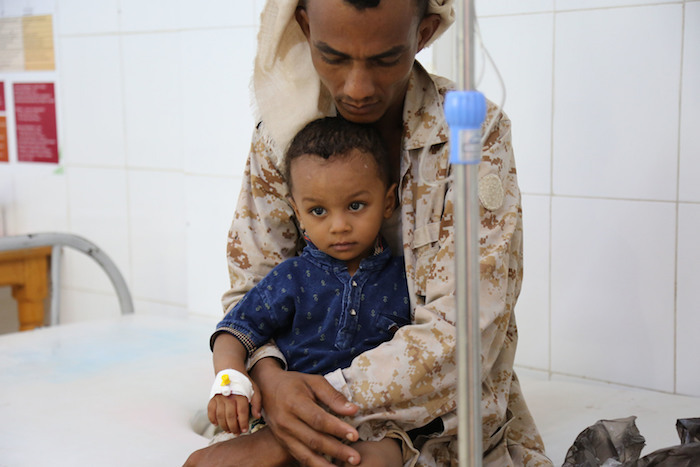 Two million children in Yemen today suffer from acute malnutrition; 400,000 Yemeni children are at risk of death due to severe acute malnutrition. Almost 90 percent of Yemen is classified as arid or desert; in peacetime, Yemen imported nearly 90 percent of its food. Even before the blockade began earlier this month, 7 million Yemenis were facing starvation. Since April, there have been 900,000 cases of suspected cholera and close to 2,200 deaths. Cholera is preventable and treatable but particularly dangerous and difficult to stop in humanitarian crises. A highly contagious bacterial infection of the intestines, it causes severe vomiting, diarrhea and dehydration, and if left untreated, can be fatal in young children, especially those who are malnourished. UNICEF and partners have been on the ground in Yemen since civil war broke out in March 2015. The ongoing conflict has affected more than 80 percent of the country's population. Thousands of schools and health facilities have been damaged or completely destroyed. "The war in Yemen is sadly a war on children," said Cappelaere. "Close to 5,000 children have been killed or seriously injured in the past two and a half years alone. We welcome the opening of Sana'a airport. It allowed us to send in a first humanitarian convoy. However, this is not enough: Much, much more is needed." Help UNICEF continue emergency relief efforts in Yemen. Your contribution can make a difference.